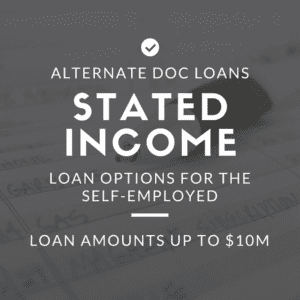 Who Would Benefit from an Alternative Documentation Loan Program? 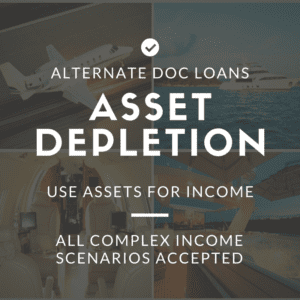 Small business owners, real estate investors, high net worth individuals, retired people, commissioned salespeople, foreign nationals, self-employed individuals, and savvy financial professionals can all greatly benefit from our Alternative Documentation Loan Programs. Most lenders you see or hear advertisements from on television or the radio offer essentially the same government-backed conventional loans. However, Westpark Loans specializes in offering the unconventional loans. Our loans are usually hedge fund or private lender backed, so the guidelines are much more flexible and use common-sense underwriting. With any home loan, there are many parties that will be involved, including the loan originator, loan processor, underwriter, appraiser, funder, title agent, and escrow agent, just to name a few. Running your loan through that process with so many people involved can be a frustrating experience. That is where having a great loan officer in your corner can help. Our loan officers are highly seasoned and experienced with many circumstances outside of the conventional lending arena. They are trained from the ground up to provide unparalleled excellent customer service. 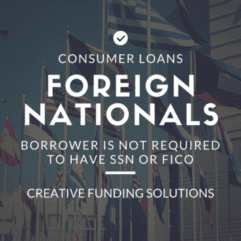 Because there is no one-loan-fits-all, it is hard to describe all the available options. Our website details some of our most popular programs, but not everything we offer. 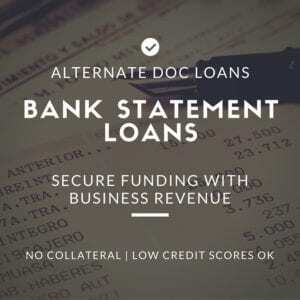 To help you determine if an Alternative Documentation Loan Program is right for you, please contact one of our licensed Loan Specialists by calling us directly at 844-574-LOAN (5626), by submitting the form below or by completing an application directly on our website.